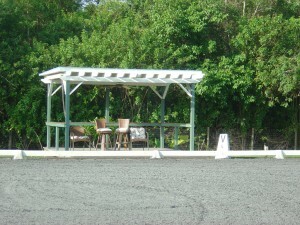 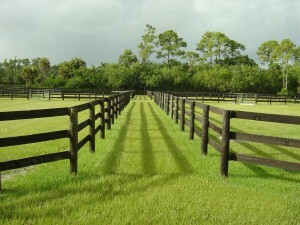 Beautiful full size dressage arena with full mirror wall and great footing with sprinkler system. 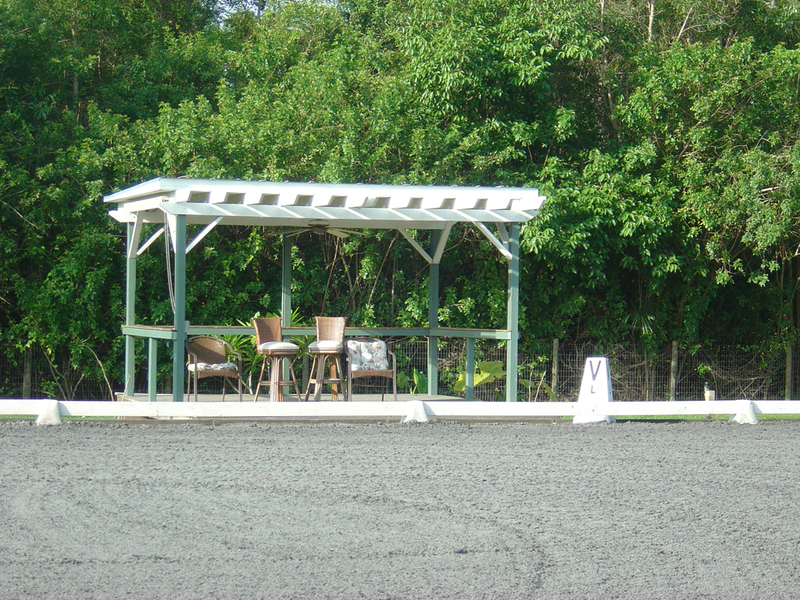 Twelve large and airy rubber matted stalls. 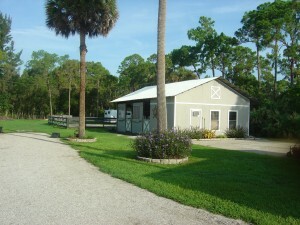 8 in the main barn and 4 in the “Junior” barn. Large air-conditioned tack room, large separate feed room and half-bath in the barn. 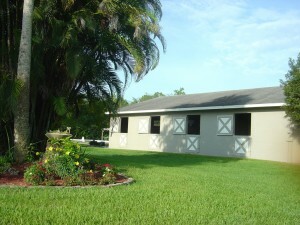 Three wash/grooming cross tie stalls. 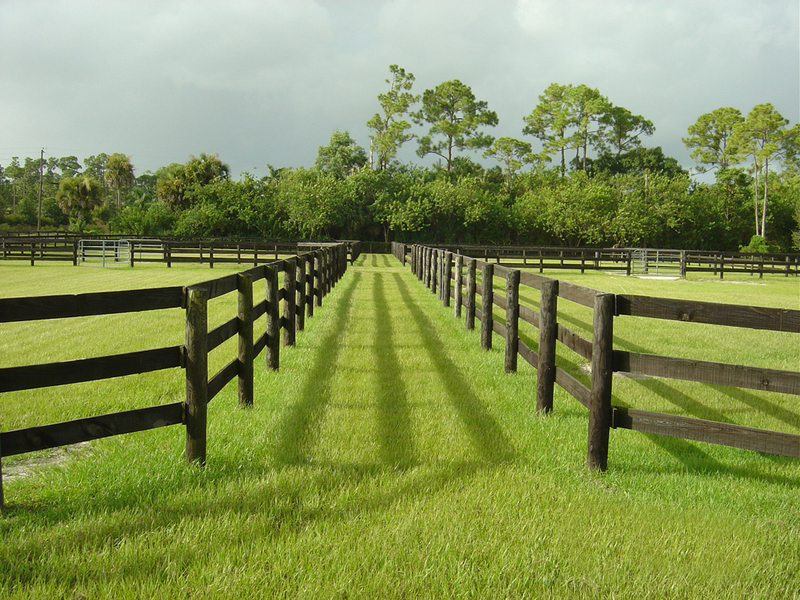 Four large irrigated grass paddocks and 3 smaller sand paddocks, all with new board fencing. Large separate hay and shavings storage barn.